Gold is useless? Yes, except as a means of exchange. It seems as if the Utopians understood this but their surface philosophy seems to disagree. Utopia, meaning “no-place”, is Thomas More’s description of a place with no private property and socialistic ideals. Published in 1516, it was published while the Roman Catholic Church was in dominance. Did this book bring More into scrutiny by Catholics? The book begins with a dialogue with the traveler, who has supposedly seen this “no-place”, where everything is perfect. 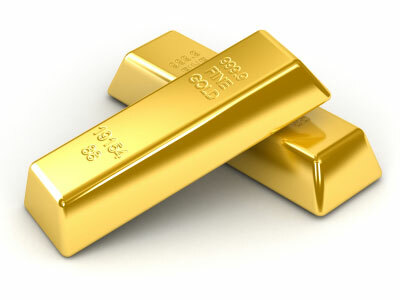 The people, for instance, despise gold. It serves no purpose, except for ornamentation, and they aren’t proud or vain, and so think such ornamentation is a sign of servitude, and for their slaves and little children only. Yet, we are told they fill their houses with this useless metal. We’ll see just why. Yes, I did mention slaves. Slaves are either captured in war, or are local criminals. Utopians hate war. They really hate it. Yet they train their entire families, both the men and women, and even the young children, for warfare. They fight defensive wars, and also will intervene in behalf of oppressed nations. But preferably to such warfare with their own armies, they use all of their “useless” gold to buy mercenaries to fight their wars for them. The Utopians will ask other nations for cooperation, and if it is not given as soon as it is asked for and to the letter, they will declare war, and the warfare is one of assassinations. They put posters up in the enemy nation, giving a reward to whomsoever will kill the prince and his generals, or whoever they feel responsible for not complying with their demands. As for the Utopian religion, they don’t have a specific religion, no specific creed. The only public worship is done in temples, with priests. There are very few priests, and they don’t have much influence in society, beyond comforting those who are dying. This idea that people don’t have ideas or don’t try to force those ideas on others is ludicrous, and obviously satire. It goes against human nature, and has never been seen; its Utopian. In this society, demand stays the same, despite the fact that there are no prices, and thus no profits, and there is still no lack of any kind of good. In fact, there is so much surplus that it is shipped, not expecting anything in exchange, to needy nations. And since the system is communistic, there is no private property, and somehow this eliminates anxiety. In fact, it makes wives not complain about not having what they want. This society is definitely in no place. It seems clear to me that More was ridiculing the idea of a Utopian society… ridiculing the idea that “no-place” could exist. And remember, this book was originally written in Latin; so, it was addressed to whoever knew Latin. That would be educated people in the church or nobility, so his declaration against the nobility, the rich and churchmen would of been taken very poorly if his work was written in a serious manner. However, it seemed obvious to me that it must of been satirical. The name of the book even gives it away. He is describing “no-place”, and the traveler’s name, Raphael Hythloday, means (in its Greek roots) “nonsense-talker”, which would of been an inside joke, as at that time in Western Europe very few knew Greek. And, the fact is, his behavior after publishing the book was one that made it very clear to anyone who knew him he supported the Catholic Church; his persecution of Protestants, and his resistance against the new Anglican Church and Henry VIII murder of his wives supports this; he never subscribed to the views held in Utopia. So, it seems clear to me that his strategy was genius. He was countering the humanists in his day by laying out their views, proving that it could not be made into a systematic worldview, and not at all rational or possible, and the whole time keeping it satirical enough that anyone who didn’t believe in a Utopian society would know that he did not support it. Utopia is a work of satire.